For the past three years I’ve had unfettered access to the Michigan football program, from the film room to the locker room, to write a book about what I’ve seen. Before I walked into that first staff meeting, I thought I knew Michigan football as well as anyone. But after three years of seeing everything up close, I can tell you this unequivocally: I had no idea. "Everything that is being reported is media speculation at this point," Dave Ablauf, U-M associate athletic director said in a statement. 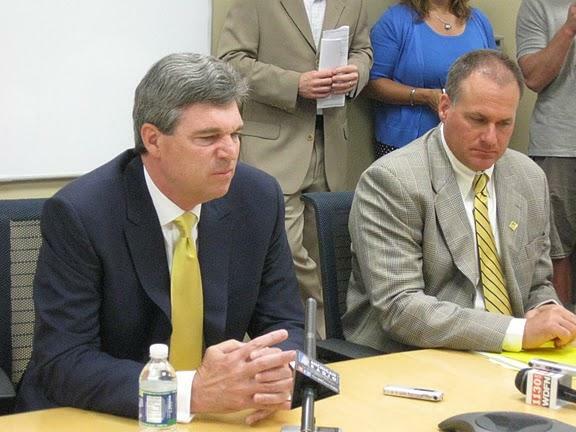 "The definitive voice on this matter is Dave Brandon and he has not and will not speak publicly until a final decision has been made. I will let you know when Dave is prepared to comment." The website reports that the players meeting that had been scheduled for 7 p.m. tonight was moved to 4 p.m. tomorrow. UPDATE: 4:24 p.m.: ESPN analysts talk about the Rich Rodriguez firing. Say it was a "marriage [that] never started out on the right foot." Analyst Craig James says Rodriguez told him that people were not on the same page when he came to Ann Arbor. 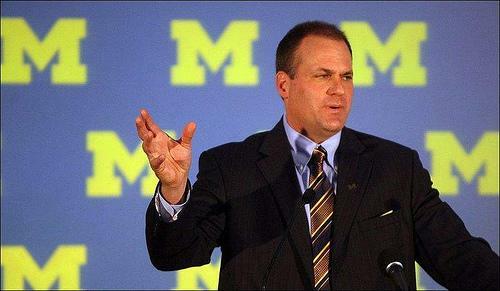 Fox News in Detroit and the Detroit Free Press are reporting that the University of Michigan's head football coach, Rich Rodriguez, has been fired. 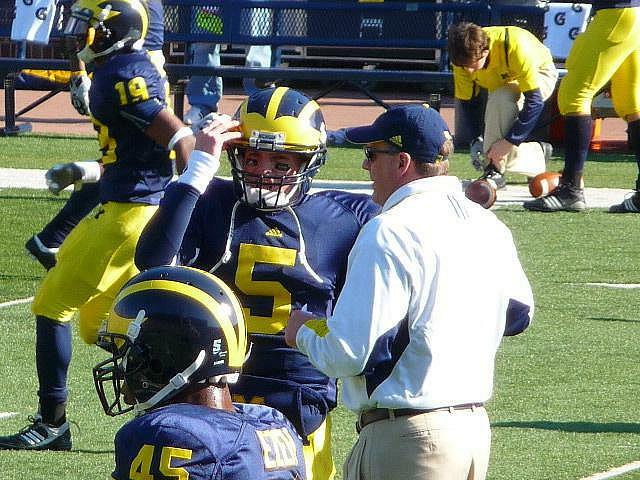 Sources tell Fox 2 that Rich Rodriguez was fired as head coach of the University of Michigan football team Tuesday. The University of Michigan might have to pay Rodriguez $2.5 million to buy out the final three years of his contract. 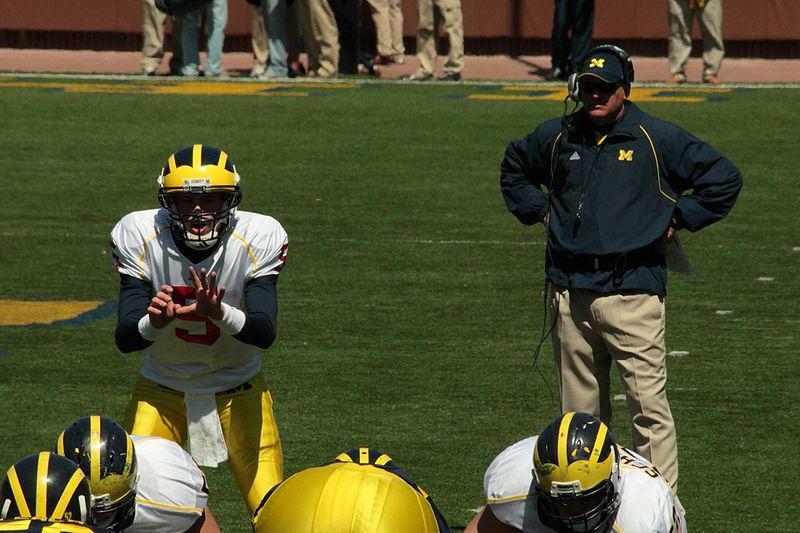 The head coach of the University of Michigan's football team might learn about his future today. 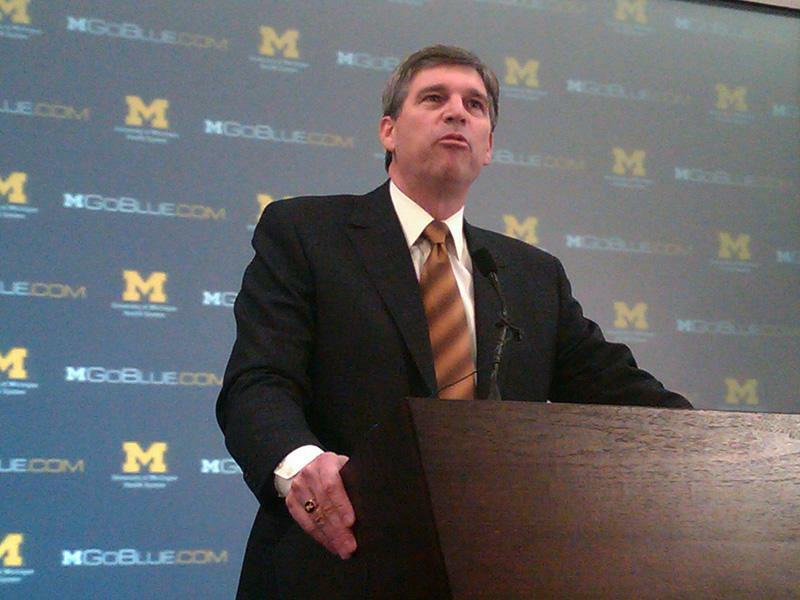 Michigan athletic director Dave Brandon will meet with embattled coach Rich Rodriguez early this afternoon to discuss his future with the Wolverines football program, according to two people with knowledge of the meetings. The Big Ten is changing up its logo. The conference is adding Nebraska next fall, so a change was needed. The Big Ten will have 12 teams beginning next fall. What do you think of the new logo? The conference also announced the names of its new divisions? Instead of naming them for directions (ie North vs South) or after people (ie Bo vs Woody), the Big Ten will be divided between "Legends" and "Leaders"
More than 109,000 hockey fans are expected to be on hand for Saturday afternoon’s outdoor game at Michigan Stadium. 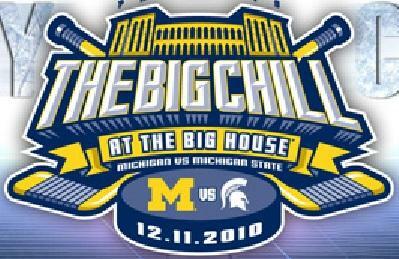 Its being called the Big Chill for a reason. The Michigan Wolverines will skate against the Michigan State Spartans in a game that will likely break the all-time attendance record for a hockey game. It's not just sitting president's who have to worry about their poll numbers, apparently head football coaches do to. Public Policy Polling gathered information on a subject that really doesn't have much to do with the general public or policy. Their robot callers ("we can reduce interviewer bias to zero by eliminating the live human interviewer") got responses from 1,224 Michiganders on the subject of Rich Rodriguez. "There were no surprises and there will be no appeal, because there is nothing to appeal. Effective today, this process is over and done and we can focus all of our time and energy on the future." A University of Michigan student leader has dropped his request for a personal protection order against an assistant state attorney general. Andrew Shirvell used his blog to attack Chris Armstrong for promoting what Shirvell called a radical homosexual agenda on campus. Shirvell also protested at events where Armstrong was present. 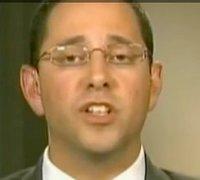 Philip Thomas is Andrew Shirvell's lawyer.